The army created and fostered Nawaz Sharif's party, the Pakistan Muslim League, to counter Bhutto’s Pakistan Peoples Party. Former Pakistan Prime Minister Nawaz Sharif has had a long and topsy-turvy relationship with Pakistan’s armed forces. Hailing from a wealthy and influential Lahore-based industrial family, Nawaz was inducted into politics by the Governor of Punjab, Lt General Ghulam Jilani Khan, during the decade-long dictatorship of General Zia-ul-Haq. The army created and fostered his party—the Pakistan Muslim League—to counter Bhutto’s Pakistan Peoples Party. Army Chief General Waheed Kakar booted him out of power in his first term as Prime Minister. He fared no better in his second term and landed up in jail and was exiled because of differences with then Army Chief, General Pervez Musharraf, over who should take responsibility for the Kargil fiasco. His third term abruptly ended over allegations of corruption, by an alliance of the Army Chief General Asim Saleem Bajwa and the members of Pakistan’s higher judiciary. The Army was bent on giving no political space to Sharif to administer the country. Nawaz’s third ouster was timed to ensure that he was disqualified from politics. The Army now appears determined to use a pliant judiciary to send Nawaz and his heir apparent—daughter Maryam—to jail soon, ending all possibility of them influencing the forthcoming Parliamentary elections, scheduled for July/August. The Army has commenced action to engineer defections from the Pakistan Muslim League, especially in Saraiki-speaking areas of Southern Punjab. It is using familial jealousies and differences with his influential brother Shahbaz, to undermine Nawaz’s hold on the party. Direct confrontation has now emerged. 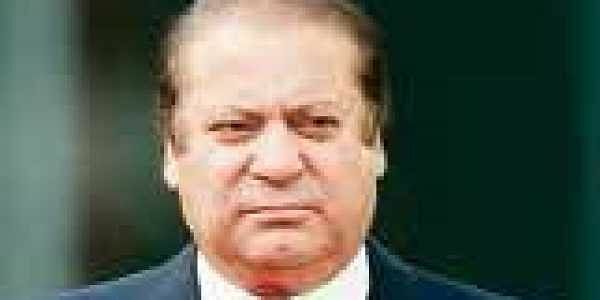 Nawaz bluntly criticised the 26/11 terrorist attack, holding the Army responsible for the terrorists crossing the border and thereafter obstructing the trial of those involved. Under siege from the Trump Administration, which is confronting the Pakistan military on issues of terrorism sponsored by it in Afghanistan and India, the military is now giving the appearance of being friendly and cooperative with India and Afghanistan. India should not get carried away by some of its bleeding heart ‘liberals’, who are already singing songs of praise of General Bajwa. While there can and should be talks on issues of Pakistan-sponsored terrorism, there is little point in any ‘comprehensive’ dialogue till there is firm evidence of Pakistan’s Army ending support for terrorism. A ‘caretaker’ Government will soon take charge in Pakistan to conduct the forthcoming elections. In the meantime, the Army is working feverishly to see that no single political party wields significant power. The Army’s protégé Imran Khan, leading the Tehreek-e-Insaf, will be set up to play a significant role. The Army’s effort will be to split the Pakistan Muslim League and ensure that what remains of the party is in the hands of people like former Interior (Home) Minister Nisar Ali Khan, and Shahbaz, who is now Chief Minister of Punjab. The Army is determined to undermine and end the vast influence of Nawaz in the Pakistan Muslim League. It will work to ensure that the country has a weak, divided and squabbling political establishment, enabling the Generals to remain the country’s real rulers in post-election Pakistan.